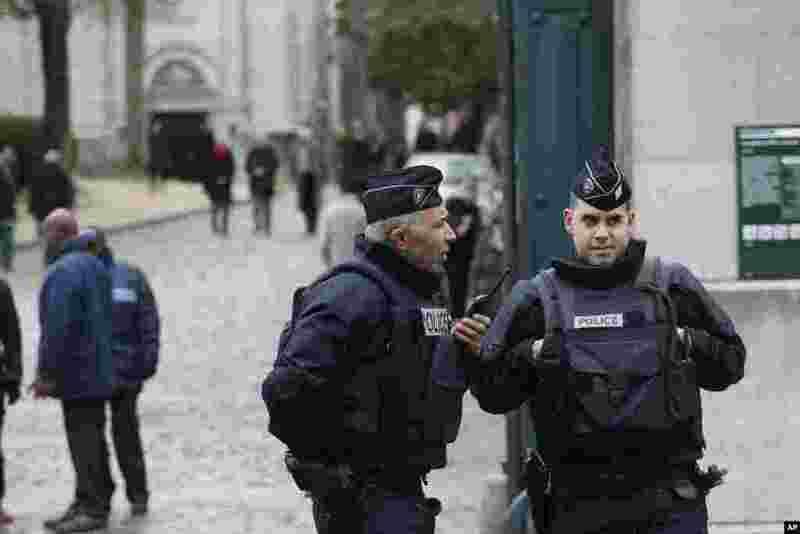 France ordered 10,000 troops into the streets Monday to protect sensitive sites as it hunted for accomplices to the Islamic militants who terrorized the nation, leaving 17 people dead. 1 Policemen guard the entrance of the Pere Lachaise cemetery during the funeral of French cartoonist Georges Wolinski, in Paris, France, Jan. 15, 2015. 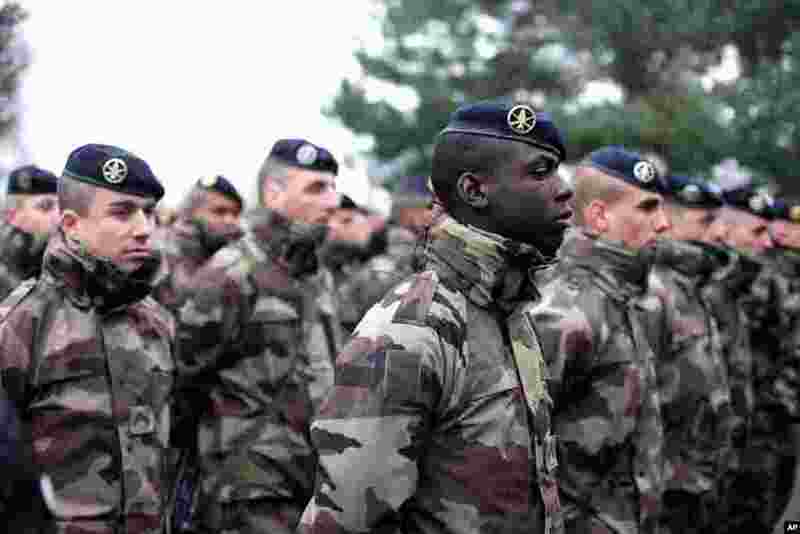 2 French soldiers line up to listen to a speech by the French Defense Minister Jean Yves Le Drian, at the Satory military camp in Versailles, west of Paris, Jan. 15, 2015. 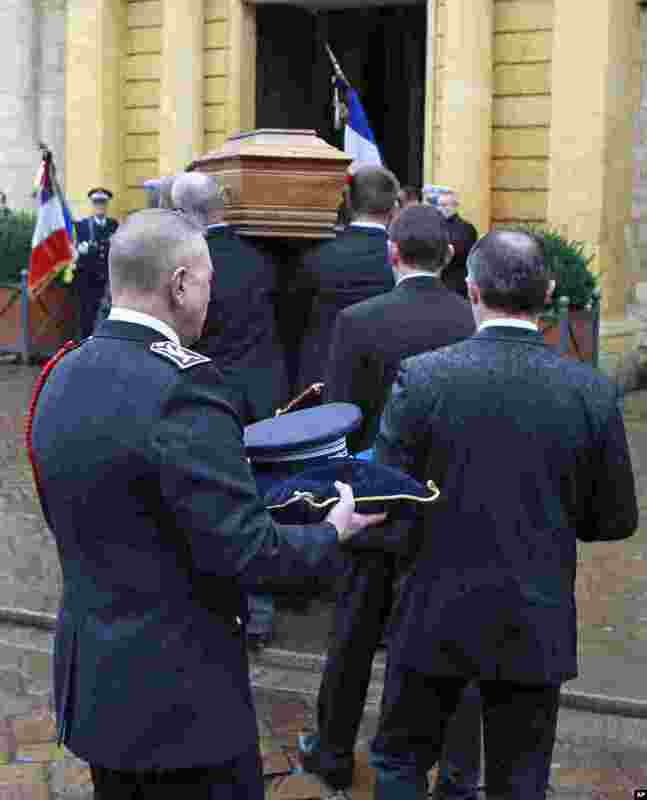 3 The coffin of police officer Franck Brinsolaro is carried into Sainte Croix church for the funeral ceremony in Bernay, western France, Jan. 15, 2015. 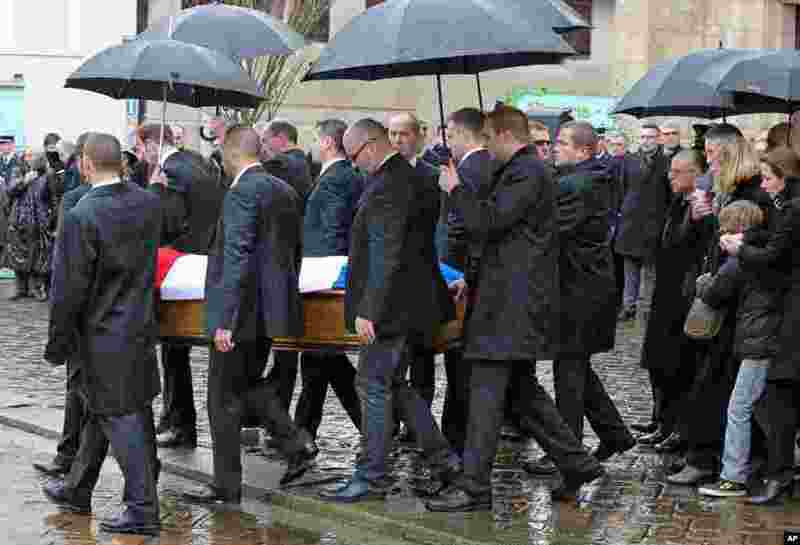 4 French Interior Minister Bernard Cazeneuve (at right, under umbrella) attends the funeral of police officer Franck Brinsolaro, at the Sainte Croix church, in Bernay, western France, Jan. 15, 2015.